"I highly recommend�Buttercups�to all Local Mums. It’s a fantastic family-run business. Beautiful gifts and flowers. Friendly and accommodating staff. Close to St Helier hospital for a lovely gift or flowers for a loved one. Would highly recommend a visit." "I recommend�Buttercups�to Local Mums.�Buttercups made us a lovely spray of flowers for a funeral that were absolutely brilliant. All the colours were matched and very bright as we had requested. 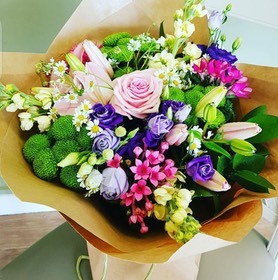 The spray was ready to be collected at the time agreed; excellent service"
At Buttercups we aim to meet your floral needs whatever the occasion. We have knowledge in seasons and varieties of flowers, so you can be sure your arrangements are the best quality, no matter the budget. Our opening times are Monday to Saturday, 8.30 – 17.30 (excluding Bank Holidays). 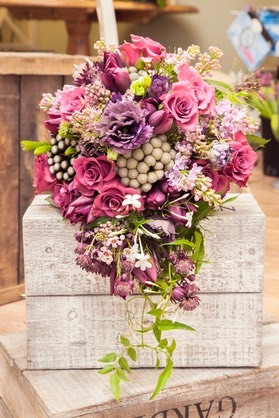 Although we are a fairly new business, opening in November 2015, we have qualified florists spanning 30 years’ experience whose work has featured in The Epsom Derby, The Dorchester Hotel, The Guardian newspaper and the cover of The Christmas Magazine 2014 and various bridal magazines.